USPA NEWS - The Spanish Socialist Government is absolutely good and the opposition parties are extremely bad. 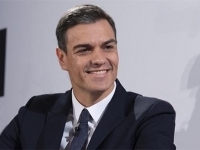 It is the conclusion that can be drawn from a listener of the balance that the Socialist Prime Minister Pedro Sanchez made this Friday of his first seven months of government. Sanchez arrived at the Moncloa Palace through a motion of censure against the conservative Mariano Rajoy supported by the Catalan and Basque independence parties, and the extreme left forces. In his assessment of the year that ends, he made it clear that he aspires to reach the legislative elections of 2020 and expects to win them. 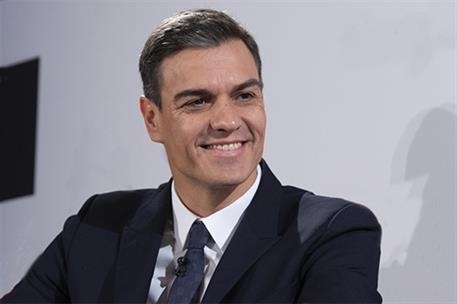 Much has been speculated during the last seven months of this 2018 on the capacity of the Socialist Prime Minister Pedro Sanchez, and he himself was in charge on Friday to give the reason to his detractors. Because Pedro Sanchez revealed a double yardstick, depending on who does things: if the Government is doing well and if the conservative opposition does, they are wrong. In addition, it appropriated figures, laws and projects from the previous Government, presenting them as their own and forgetting that there are newspaper archives, sound archives and video libraries. "Spain has changed for the better," said the Prime Minister, adding that "a new time of political, social and economic stability has opened in Spain." It does not lack reason, but forgot to mention that the great macroeconomic figures of Spain, the budget that is still in force and the improvements in pensions or salaries of the civil servants were approved by the previous Government. "We have done more in seven months than the previous Government in seven years," he said in a show of unwarranted arrogance. Supported by the motion of censure by the Catalan and Basque independence parties, Pedro Sanchez defended the agreements reached for his accession to the Government and did not rule out repeating them if in 2020 he won the legislative elections. His Government, he said, "will always be for coexistence and construction and at that point we may find ourselves with different political forces." He avoided referring to the conflict in Catalonia but, to questions from journalists, said his Government is "constitutionalist, but with a broad view" and aims to "strengthen coexistence and territorial cohesion," for which he advocated solving problems "from moderation and dialogue, and not from the tension." With regard to Andalusia, where the Socialist Party could lose the Government after 36 years of hegemony, the Spanish Prime Minister criticized the agreement reached between the conservative Popular Party, the centrist Citizens and the new far-right formation Vox to govern the region, arguing that it is not possible "to be at the same time with common sense and extremism." Asked about the agreements reached with the Catalan separatist parties, which aspire to break Spain, Pedro Sanchez explained that it was about "moving to a real dialogue within the law and with cross-cutting agreements."